Posted On June 15, 2016 by Team iCynosure. As a professional who dabbles between a full-time corporate job, my blog and my family; there is hardly any time I get to do other things. However being a thorough perfectionist, when I need additional help around the house or otherwise; the only thought in my mind is to get professional help and not a stop-gap arrangement. It has been a tough task to find the right professionals, especially when the task that needs attention is an one-off or a limited time-duration job. 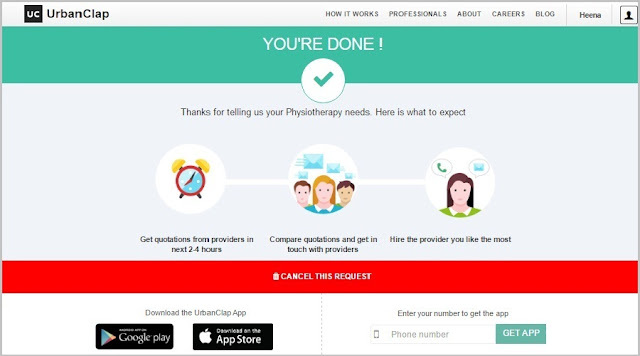 Inspite of my willingness to pay a premium, I’ve hardly managed to find qualified experts. 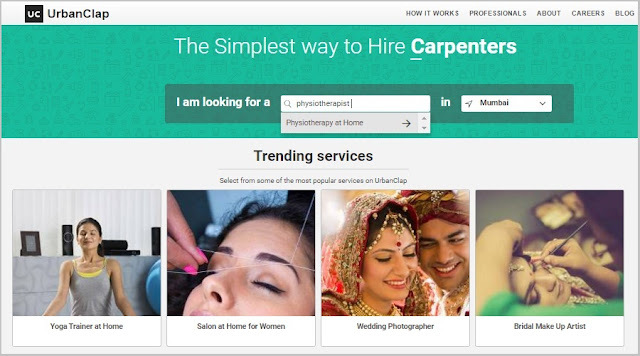 Point in case is when recently my mother-in-law had a fall and we were looking to hire a physiotherapist; and on checking with the doctor; he suggested to hire the women who come to offer traditional maalish as physiotherapist were unavailable in the area. That was something I refused to believe and I started inquiring around. While asking around, a colleague suggested that I should try UrbanClap. On closer inspection, I've gathered that Urban Clap is a services marketplace bringing together buyers and service providers under one roof and connecting them via a systematic platform. The services offered range from home salons to wellness professionals; from party planners to wedding photographers, from home servicing to repairmen. The idea sounded exciting, however since it was the first instance for me I threaded with caution. I quickly registered online and got browsing to check the website; though you can download the app on your mobile as well. After a series of general question, a couple of queries were asked pertaining to the exact nature of service required. Once the responses were submitted including the doctor’s recommendation, I received a notification about the way forward. Over the next 24 hours I received several quotations and after scrutinising their candidature I zeroed in two therapists. After a quick chat with both, we hired the most suitable at a reasonable cost. The therapist has been attending to my mother-in-law for the last three weeks and I am extremely satisfied with her service, her knowledge about alternative therapies and suggestions regarding improvement. For me, the UrbanClap app is a win-win situation for both the parties as the matchmaking engine connects the demand with the supply seamlessly. Another plus is that each and every provider is background checked which creates a comfort for the buyer as you’re practically letting in a stranger into your house. Quotations received are comparatively lower as the recommendations are location-based. 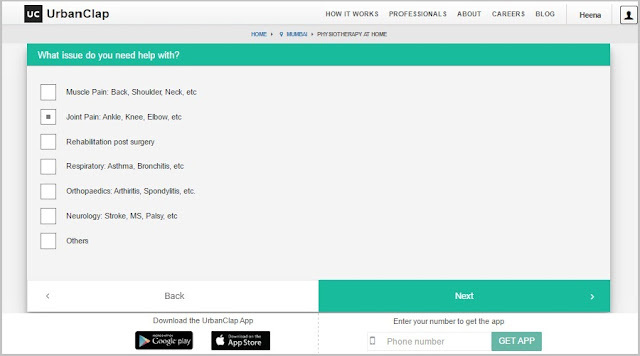 UrbanClap is one app that sure has found space on my mobile as it is a handy tool for the gamut of services it offers, with a short time duration of 3 hours and multiple providers I can choose from. Have you ever used the UrbanClap App? Download it here.